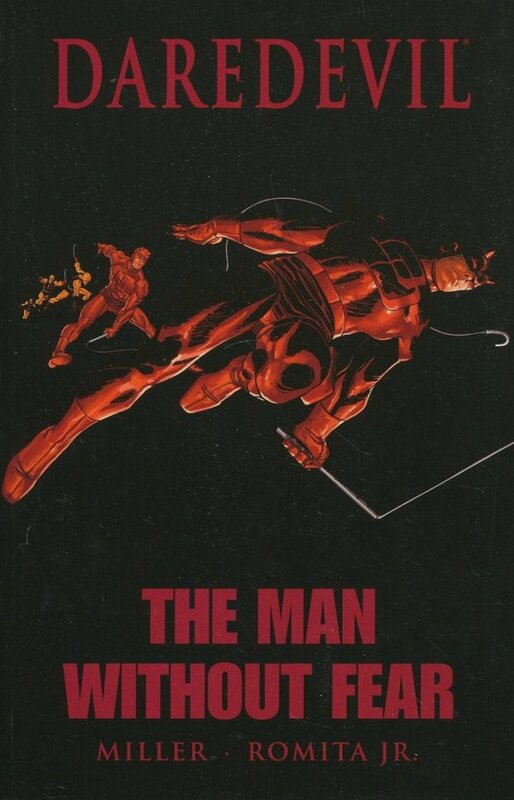 A fire burns deep within Matt Murdock. He was raised by a single father, an over-the-hill prizefighter with one last chance to make it good - a chance that cost him his life. Taunted and tormented by children while growing up, Matt's life was irrevocably altered after he was blinded by radioactive materials while saving the life of an old man. The payoff? An unbreakable will and a keen intelligence, helping focus the super-senses he was blessed with during the accident. His story is one of love, pain, disappointment and strength. 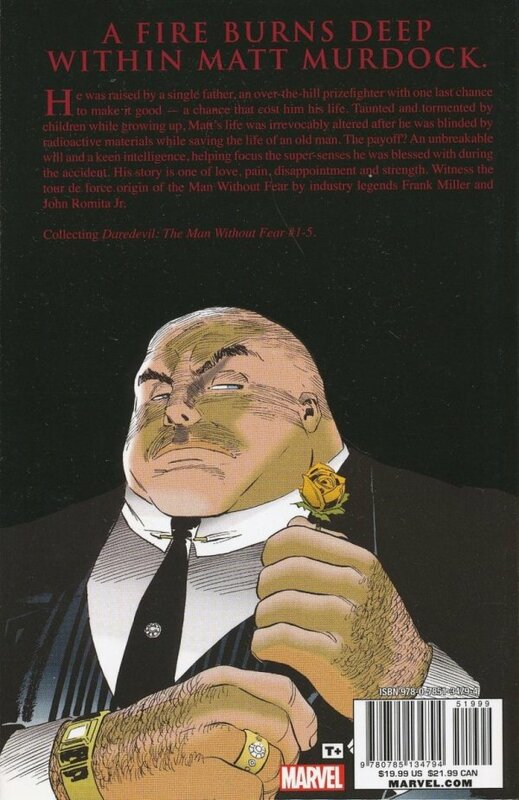 Witness the tour-de-force origin of the Man Without Fear by industry legends Frank Miller and John Romita Jr.